Do you find yourself struggling to parent the "right" way? Are you exhausted trying to be the good or perfect parent? What if you don't have to give up you in order to be the best parent for your kids? Congratulations you are a parent! Whether you are a new parent, a parent of teens or adults, you have been chosen. As an act of free will, your children chose you to be their parent. They did not come with a manual, which can cause some confusion for parents as they try to apply how they were parented only to discover that each child requires something different. How many of us turn to experts to tell us how to raise our children? Although many “experts” may have good advice, what if you already know all you need to know in order to be the parent who is best for your child? Be You Parenting means being in allowance of you and acting according to what is true for you, not the world outside of you. When you parent from that place you empower your children to become the people who they truly be. I wrote this book not to tell you how to parent but rather how to discover more of you so that you can parent without losing you in the equation. I can’t think of a better win-win for families.This book is dedicated to YOU! What if you are the parent your kids require, just by being you? What if your kids are what you require now in order to know more of who you truly be? I have a sense that you will come to know that you do know how to BE the parent you and your kids would like you to BE. It is my desire that this book gives you the direction to create the change you desire. I will share with you techniques, tools and ideas as a springboard from which you can dive in and begin to play and expand to make it all your own. Have fun along the way! 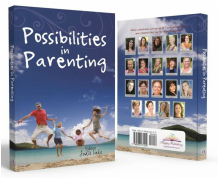 Inside the book you will explore ways of getting rid of the old patterns of parenting and allow the true you to emerge and be present with your child. The adventure is waiting for you. Also available on Amazon and Barnes and Noble. Also available in the Access Consciousness shop here. New book just released Jan. 2016. 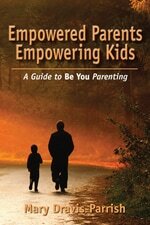 Mary is a contributing author sharing a chapter on What Kids Need Most in a Parent. Nineteen authors contributed to this amazing book.